A clean carpet not only increases comfort in your home or office, but it’s also beneficial to your health as harmful bacteria, fungus, bugs, and pet hair which causes allergies and other health complications are removed completely. Cleaning keeps your carpet clean and fresh, and also increases its lifespan. Steaming is one of the most common and popular methods of carpet cleaning in many homes and offices in Singapore. 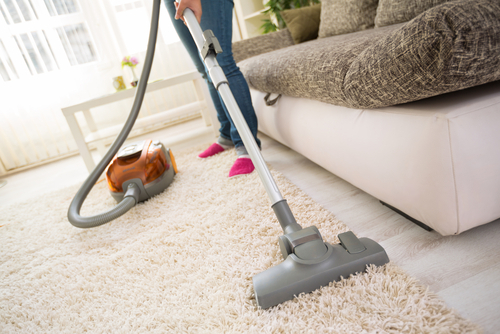 Also known as “Hot Water Extraction,” carpet steaming is an excellent option to consider when you want to deep clean your carpet. Carpet steam cleaning is an effective method for carpet cleaning due to its ability to not only deep clean the carpet, but also to deodorize it, killing the harmful bacteria present. Typically, the method is effective and has many benefits. However, just like other carpet cleaning methods, steam carpet cleaning comes with its own problems, or rather disadvantages. If you’re considering carpet steaming for your home or office carpet, you should know that this method has its merits and demerits. After discovering these pros and cons, you’ll be able to make a more informed decision on whether to use it or not. · One of the reasons why carpet steam cleaning is a popular carpet cleaning method in Singapore is because of its ability to deep cleanse the carpet. The method does not only remove the dirt particles and stains on the carpet; it goes much further to remove even the toughest stains caught up in the carpet fibers. · Steam cleaning employs heat, water, and detergent. The hot water combined with detergent saturates the carpet, mixes with dirt and debris, which is then extracted by a high powered vacuum. The method is practically very effective and so you can be sure that no residue is left on the carpet. Your carpet is left looking good as new! · Just like how hot water kills germs and bacteria in clothes and dishes, carpet steam cleaning works the same way. The hot, pressurized water disinfects your carpet to kill all germs and bacteria present. Carpets can harbor thousands of bacteria especially if the carpet is occasionally cleaned. This reduces the risk of developing bacteria-related health complications. 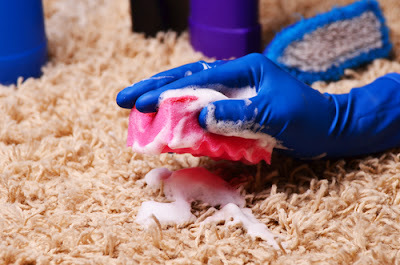 · Taking too long to clean your carpet can cause bad odor to fill your house or office. At home, coffee/tea/milk spills are common. Food particles that fall on the carpet rot to produce the worst smells ever. Steam carpet cleaning is very efficient in eliminating bad odors from the carpet. Deep cleansing with hot water allows for complete removal of the culprits causing the smells. If your carpet is full of grease, carpet steam cleaning is arguably the best method for degreasing. · Mould and fungus are usually caused by spills on the carpet. No other carpet cleaning method can remove mould and fungus as effectively as steaming. The use of hot water under high pressure flushes out mould and fungus growths from your carpet. The water also kills the bacteria causing mold and fungus growth. · Considering that these two culprits cause allergies and aggravate asthma, using carpet steam cleaning method can help you get rid of the harmful mold and fungus on your carpet. · Some stains on carpets are hard to remove. 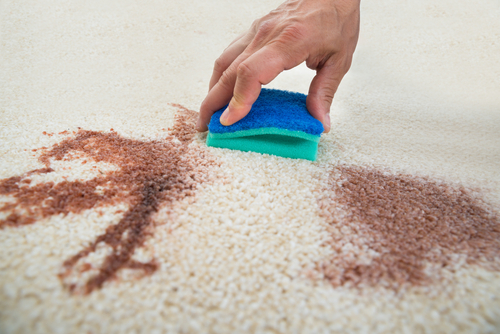 To remove them, one has to use harsh chemicals that tend to damage the carpet fibre. Your carpet may become worn out after a short time due to the use of such chemicals. · Now when it comes to removing difficult stains on the carpet, the steaming method is very effective. Hot water plus detergent removes even the toughest stains. The advantage of carpet steaming cleaning method is that it leaves your carpet intact after removing stains- no damage of fibre occurs. · Carpet steaming is arguably the most popular method of cleaning carpets in Singapore. Most homes and offices rely on this method as it's effective in removing dirt and stains that otherwise couldn’t have been removed through regular cleaning. It’s also popular because it extends the lifespan of the carpet, which eliminates the need to purchase a new one. · Carpet steaming done by professional carpet cleaners is effective and long-lasting. While there are many advantages of using carpet steaming method to clean your carpet, the method comes with a few cons. It’s important to note them so that you’re better prepared. · With all the hot water injected onto the carpet during cleaning, it’s expected that the carpet might take a longer time to dry as compared to other methods such as dry cleaning. This is of course the most common problem of steaming carpets. · Carpet steaming usually takes a long time to complete, especially when there are many carpets to clean. This often causes the carpet to emanate bad odors before drying out. · To ensure maximum efficiency and complete removal of dirt, stains, grease, and other impurities on the carpet, high-quality extraction equipment must be used. This means that hiring such equipment can be very costly. · The good news is that although the equipment are expensive, they are worth the cost as they are very efficient. · Carpet steam cleaning is not a job you can handle by yourself. It requires professional carpet cleaners who are highly skilled and experienced. Therefore, as much as you want to save money, you get no chance because your carpet can only be cleaned by professional carpet cleaners in Singapore. · You’ll be required to pay a high fee after getting the services of professional carpet cleaners. This is due to the lengthy and complicated procedure involved, not to mention the cost of operating and maintaining their highly-efficient equipment. · The intensive heat used to clean the carpet may cause potential damage to the fibre, making the carpet weak and visually unappealing. It’s a risk you have to take when you choose carpet steam cleaning. Steam carpet cleaning is arguably the most popular carpet cleaning in Singapore. Even with the few disadvantages, it’s pretty clear that the pros outnumber the cons. It will leave your carpet clean, beautiful, looking good as new, not to mention extending its lifespan.